My sweet husband has waited approximately 29 years to turn 29 on the 29th. In honor of his "golden star" birthday, Finley and I have compiled a list 29 things we love about our favorite daddy/husband. He has sweet dance moves. He has seemingly infinite knowledge about Microsoft Excel. He sells oil with the best of them (or he used to, now he analyzes other people selling oil). Even after a long day at work, he wants to hold Finley right away when he gets home. He makes up funny songs about dancing with our dog. PS I Love You made him so sad his face hurt. He always cleans up dog puke, even when its Victoria's dog's and not ours. He is a very handy man--he made us a lovely house to live in and grew a lovely backyard full of grass. He tries to sing along to every song on the radio, even though he rarely knows the words. He is the funniest man Finley has ever met. He can remember very random things that I totally have forgotten. He tells me I'm pretty. I can always talk him into taking me to Chick-fil-a. Or Five Guys. He is so so smart at making good investments. Finley is especially grateful that his daddy has more athletic skills than his mom, so the poor kid stands a chance at being able to catch a ball. He likes to talk about math. He loves my friends and lets me be ridiculous around them. He gently helps me become a better mother and wife. He is great at making brick pathways. His grilling skills are second to none... as long as he remembers to put the cheese on the burgers after they've been flipped. He makes up funny words and sometimes I don't know what he's talking about. He pretends that he likes to watch American Idol and SYTYCD with me. He loves to burp Finley. He can fall asleep within seconds of laying down... anywhere... even if I am talking to him. He lays down and cracks his back in public places. Even though he always wants to see Transformers, he lets me pick the movie we watch about 80% of the time. He has no less than 10 tubs of his hair styling product. He doesn't always miss his flights. We love you, Sol! Thanks for being so wonderful. The three things babies are really good at are eating, sleeping and pooping. This post focuses on my favorite of the three, pooping. Sol's savvy sister Lilias gave us a cloth diaper for Christmas and got us thinking about the possibility of not using disposable diapers. Finley has decided that he doesn't really like to poop, and saves it all up for a special deposit every few days. Since he rarely poops, we thought this would be a good time to start up with the cloth diapers. We've been using cloth diapers for about a week and a half and its going very well. Our main reason for switching is the crazy amount of money you save in the long run--while its pricey to start up cloth diapering, once you've bought everything you need, you really don't have to buy anything else. We also like it because it produces significantly less waste, I'm not nagging Sol to empty the Diaper Genie every other day, they are super cute, and they are apparently better for Finley's skin. It's kind of cool. 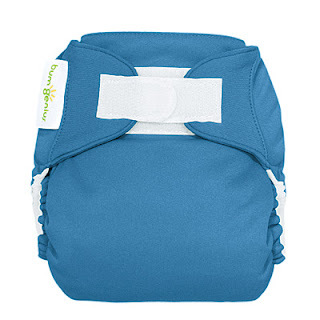 It's the BumGenius 3.0 diaper... it fits babies from 7 to 35 lbs. Crazy, huh? They are just as easy to use as disposable diapers, no safety pins or leaky stuff, just throw them in the washing machine when you are ready to clean them. We're pretty impressed. I never would have guessed that we would be cloth diaperers but it works well for us (so far). It's crazy how little I knew before Finley came along and how much I have learned! Google is my best friend--I feel like I am constant searching for what is best for my little guy. It's funny when I read web forums with mothers posting about their parenting. They always sign off with a list of how old their kids are and all the aspects of their mothering that they are proud of... "SAHM to Jack, 18 months, and Ruby, 3 years, and 3 furbabies, extended rear-facing, cloth-diapering, baby-wearing, co-sleeping..." except there are fancy acronyms for all of those things that took me a long time to figure out. It's funny how proud and protective mothers become of their way of doing things. It's so interesting to read about different perspectives and I've enjoyed learning what works best for us and what is best for Mr. Finley. There is so much to learn, and even though I've learned a lot, I'm pretty sure there's even more that I haven't learned. I'm humbled by how little I still know, every day is a new adventure. Join me next time as I pontificate on my second favorite baby thing, sleep, and why Finley and my sleeping schedule is so bonkers. Finley recently began to love being able to sit or stand in our laps... and his new favorite is the Bumbo chair. It's very silly looking, but he seems to really enjoy being able to sit and interact with us. It's so cute. I can't believe how big he looks! Another new thing is how easy it is to make him laugh. He's a little ticklish and will giggle if you tickle his cheeks or feet or belly. He also thinks its very silly to watch Sol eat--he was laughing everytime his daddy took a bite of his hamburger the other day. Babies are a hoot. Finley is three months old today! People tell you over and over how fast they grow up, and it really does seem like he changes so much every day. He loves to sit or stand in our laps now, and feels stronger everyday. Sol is so good at making him laugh--he thinks his daddy is hilarious. Sol pretends to do surgery on his belly... its very silly and Finley loves it. We have the cutest video of him laughing about it, but I haven't figured out how to edit it yet. Stay tuned. Today, I had one of my favorite Finley moments to date. He was falling asleep and I laid him down in his crib. I stood and watched him for a few minutes to make sure he was soundly asleep. He kept his eyes shut for a few moments, then opened them, looked at me and smiled as he drifted back to sleep. It melted my heart to see him be so happy to see me and peacefully fall back to sleep with a little smile on his face. We absolutely adore him and love watching him grow up. We just can't get enough of him. Thanks, Finley, for being our baby. 1. When Sol changes Finley's diapers (which I always appreciate) he ALWAYS forgets to snap his onesie. He claims that Finley likes to be free... I'm pretty sure he just forgets. Sol's been wanting to get father/son onesies for awhile now; maybe if Sol had his own onesie he would remember to snap Finley's. 2. Finley has become an excellent drooler. It is dripping down Sol's arm in the picture. 3. He's also a pro at falling asleep whenever he feels like it. How cute is that? He's all draped over his daddy's arms. What a wonderful feeling--to feel so safe that you can just sleep where you are. Precious. Finley got to experience our national pasttime for the first time. We went to watch the Nationals play--although I think only one of three of us actually watched the game. The Nationals Ballpark is nothing like Fenway, but it was still very neat. Mostly because they had GELATO. And Five Guys. Sorry this is not a riveting post. It's really just an excuse to put up pictures. Look. Baby. Unfortunately this blog post is NOT about my favorite movie starring my favorite white rapper. It is about how far I just ran and the ridiculous amount of time it took. 8 miles. 1 hour and 39 minutes. Seriously. That's so long. It's so hard to run 8 miles when it takes that long to finish it... and when you are pushing a heavy stroller... and when its hot. I don't do well in the heat. I wilt. I used to be able to run 8 miles in just over an hour... I could knock out at least 12 miles in the time it just took me to do 8. This makes training for a marathon a considerably larger task since it's going to take FOREVER. In Finley related news, he figured out how to grab things. I find this remarkable. My BFF from college, Miss Victoria Luhrs, moved in to our downstairs a few days before the fourth. Because she loves DC and I remain ambivalent towards it, she is making it her goal to make me love it. Step 1 was venturing into the city for dinner and fireworks. Victoria brought her entourage to help her move in, and we ate at a yummy Mexican restaurant then watched the fireworks on the mall. I also taught Tara one of my most important rules. If you are ever at a cupcake shop, it is just plain ridicuculous to just buy one cupcake. You should buy at least two, prefarably a hundred. Finley loved the fireworks. He was so excited he pooped his pants right before they began. Then he looked in their general direction, which I will interpret as "watching with great glee". We're back at home and doing fine. In case you are interested, the Ponseti Method is how his clubfoot is being corrected. It's the least invasive way, and pretty excited that we ended up with this course of treatment. They used to surgically take the foot apart and rebuild it, so its great they can fix him gentler. Finley was an angel before surgery--smiling and giggling up until they put him to sleep. The doctors were very impressed. He was only away from us for about 25 minutes, super quick. When I got him back, however, it was heartbreaking. He was SO upset and making the saddest, angriest cries I've ever heard. We eventually got him settled down but he was still pretty unhappy until we got him to sleep. He's awake (and a little loopy) now, and content enough that I've got him to smile a little. Thanks for all the prayers, emails and texts. (Prayers to God, emails and texts to me. Unless God has a hotline I am unaware of.) It was so so sad to see him scared and uncomfortable, but he has gotten it together pretty quickly. Very sadly, we did not get a picture of him in his little hospital outfit, it was too cute. He had to wear a huge gown and pants and socks. It was funny. Finley is having a filleting of the leg tomorrow at 12:30. His doctor has decided that they haven't been able to stretch his heel cord enough with the casts, so they need to do the surgery to finish the correction of his foot. The surgery is necessary 80% of the time for clubfoot. They'll be cutting his heel cord so that it will heal and grow back longer. The surgery is super quick--our doctor tells us it takes longer to explain than to perform. After the surgery, he'll be in a cast for several more weeks, then in a brace for a very long time. To give Sol a little time to focus on his work, Finley and I flew down to South Carolina to spend a few days with my mom. She was more than willing to work shorter days and play with us. It was so fantastic--I really love Greenville. My mom got to show Finley off to her co-workers while I was treated to a wonderful massage! We ate several delicious meals and spent an embarassing amount of time shopping for Vera Bradley items. It was great! Sol and the puppy missed us alot--I think Copper was the most upset. He ate several nail files, a shoe and my goggles. He normally NEVER chews our things. He was a sad pup. They both were--and they had to spend lots of time snuggling when we got back.